How do Librarians Assess Website Quality? Google is getting much better at extracting potential keyword information when you set up an account. Lets say your site competed with SeoBook.com (and you are thus evil). 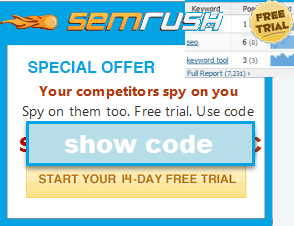 You could set up a new ad campaign and act like it is for SeoBook.com (by entering www.SeoBook.com as your ad URL). Google will then give you keyword groups based on the content of SEO Book. Each of the categories has a list of keywords in it where you can add all or some of them to your keyword list. Google's AdWords keyword suggestion tool may make niche discovery easier by allowing you to see how Google views a variety of small niched sites or sites in other locations where slightly different language or dialects are used (think UK English versus US English). As a content publisher, if you monetize via AdSense, the keywords Google suggest are great to target since you know they are pointing advertisers as them. The words seen by the widest number of advertisers are likely to be priced near or above their fair value. Well, sometimes its better to go deep in to archive. This is the kind of information i was looking for. It seems to be working something like the mediabot for adsense. If you send it to a page with little text or the "money keywords" are graphics it misses some obvious stuff, so you may have to play around with targeting the correct page for the best results. Good tip though! I've been working on a piece about free "competitive intelligence" tools, and have actually been playing with this one for a little while. Correct me if I'm wrong though, that you don't actually need to set up a new ad campaign pretending to be someone else, but can just do it through your existing account using the Site-Related Keywords tool. Apologies if I misread that. I once had an adwords campaign where we got tons of traffic and almost no coversions that were shown through the tracking, we had high CTR and sales but the conversions didnt show up. In hindsight I should have tried to match the sales with the CTR, does anyone have experience with buyers bookmarking and coming back later to finish the sale so it doesnt show up as a conversions? I think most of the ad systems leave a cookie such that as long as your ad tracking code is fine the conversion can count. AdWords tracks many conversions for my site, even though payment goes through Paypal (a third party site) and then the users come back to my site for their download.